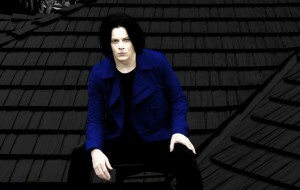 Jack White, for many know as a former lead singer of a band „White Stripes“ is now called living legend of rock. He is not only a singer, but a songwriter, guitarist, drummer, actor and interpreter as well. Jack White (real name – John Anthony Gilis) is an artist that is either loved or hated, it is impossible to stay neutral while listening to him. He brakes all the stereotypes and it is hard to put him in some kind of frames. He is brave and tries various styles and genres, but still always is loyal to rock. Moreover, he actively participates in political debates. For instance, a month ago in a festival in New York, he called USA president Donald Trump a prostitute. Jack White is a living legend in music. He constantly evolves his style, but at the same time he manages to remain true to his blues and rock beginnings. He also has been added to list of rock ‘n’ roll’s best guitar players. The musician started his career at a really young age, he formed his first band when he was 19 and he became famous after forming a band “The White Stripes” with his former wife Meg White. The band was unique with its garage rock style and truly impressive and original image which was always combined of three colors – red, black and white. This duet led Jack White into the fame. Since then, he got many opportunities to work with various very famous musicians. For instance, “The Rolling Stones”, Bob Dylan, Beyonce and Loretta Lynn. Since then he has formed a collection of bands (e.g. “The Raconteurs” in 2006, “The Dead Weather” in 2009 and he plays in these bands to this day). Also, he released a pair of solo albums and produced a stack of record for other artists. The singer’s career is truly impressive, he was a part of many bands. Jack White’s songs were nominated 33 times in “Grammy” and he won 12 times. Only a few other artists have more “Grammy” awards than him. That would be Beyonce (22), former member of “The Beatles” Paul McCartney (18) and Greg Solti (31). This year he will be doing a solo world tour with his newest album “Boarding House Reach” and on October 4th he will be performing in Vilnius, Lithuania. This tour is one of a kind, the audience will not be able to use their phones the entire event. The phones will be put in special cases that open only in special area. This way Jack White invites everyone to become a part of a concert, enjoy music and every moment. A list of all his best songs would be hard to put in one article, so we present TOP 10 of Jack White songs. This song is a lead single of an album “Dodge and Burn”. It recaptures the gravely mix of performers that represents the super group’s signature sound. Vocalist of this band is not Jack White, it is Alison Mosshart, a woman with unique and screechy voice. In this band Jack White plays drums and gives a memorable performances as a drummer. This song’s lyrics perfectly match a beat of the drums and rhythm of the driving bass line. It is a tune that will certainly remind you that this band is more than just a throw-away side project for Jack White. This song is one of the newest ones and it comes with the newest album “Boarding House”. Interestingly, this song was written in 2005, when Jack White was a member of rock band “White Stripes”, but he did not release it till this year. He had many more opportunities to play this song but he chose not to. He has said that this song is sort of his white whale, he chased it, chased it and chased it and finally, all of a sudden, it worked. This song reminds of an old Jack White and his garage rock music. This song was written by the whole band. According to the lead singer, Alison Mosshart, every member of the band helped to create this song. As she has said, everybody just did what they wanted to do, she wrote most of the lyrics, because it is her favorite thing to do, and everybody wrote different parts to the music – someone would lead with something and someone would finish. They wrote fast and super easy. In this band Jack White plays drums. “Treat Me like Your Mother” is a single released off of the band’s debut album “Horehound” in 2009. This song was a lead single in a debut album “Blunderbuss”, released in 2012. “Love Interruption” is different than other songs of the album, more calm and focused. It also offers a glimpse to troubled mind of Jack White and gave him a chance to show other part of himself, try to sing and perform a romantic song. This song is a duet with an amazing singer Ruby Amanfu. Moreover, this song may speak of Jack’s feelings after his divorce with Karen Elson, what was missing for him after that. This song was written specific for a 2008 James Bond movie “Quantum od Solace”. It’s a song by Jack White and American R&B singer Alicia Keys. This song reminds more of a pop genre than Jack’s beloved rock. Although, it is not some cheesy pop, the singer still managed to keep his style and perform it with a little bit of hard rock. “Another Way to Die” features White on vocals, guitar and drums and Alicia Keys on vocals and piano. It is a first duet in the Bond film series. Moreover, it was nominated for the “Best Short Form Music Video” at the 2009 “Grammy”. This song received various reviews, some were very positive, saying that as an individual song it is great, but there were some negative ones as well, which said that this song was a poor choice as a Bond theme. 5. Jack White – Would You Fight For My Love? This “Lazaretto” track shows a sensitive side of Jack White and how cautious he is about committing to a new relationship after being previously burnt. This song is beautifully fulfilled with its music video. The clip features a moody blue color which indicates a deep brokenhearted blues (sadness). In this video clip Jack White plays a lonely-looking bad hound. It is a very emotional and sad song with a clip that is the same. Truly beautiful. Moreover, the whole album, according to Jack White, talks about controlling ant letting go. A cover of Dusty Sprinfield’s song “I Just Don’t Know What to Do With Myself” became one of the best singles in the 2003’s album “Fell in Love with a Girl”. The song is calm and beautiful with some parts that are heavier, it is a combination of softness and hard rock, which is adored by Jack White. This song was introduced with a rock anthem “Seven Nation Army”, a bit hard time for a song. However, this song shows an underrated White skill to imbue songs with melodrama. According to the singer, this songs was inspired by his daughter, who asked for that number of crackers for a snack. Does not matter, if that is the case or not, this song truly is one of the best on the 2012’s album “Blunderbuss” and is a favorite one among White’s fans. The song is a combination of a heavy guitar, deep echoes and a violin. Also, great church piano intro. This is one of the simplest songs of Jack White in 2003 album “Elephant”. It is minimalistic although easy going and really enjoyable. According to the singer, this track is about a child trying to find a place in a dysfunctional family when a new baby comes. The cover of the single is an allusion to the graphics of Saul Bass and it also alludes to Jack White’s then-broken index finger and his obsession with the number 3. Moreover, this song was used on a trailer for the “Justice League” movie. This song may be the best known song of Jack White. No surprise that it was nominated by “Grammy” 33 times and won this award 16 times. In this song there is a strong pulse of bass, which later became one of the main features of Jack White’s music. This song is known not only between the fans, but also in the whole world. Many sports events play this song in stadiums and this song became a first song to learn to play on a guitar for kids. Even though it was released in 2003 with an album “Elephant”, it is still very popular. It still is being played in rock bars and clubs. This song became kind of a rock anthem.